Pioneering independent filmmaker Allen Willis dies. Daily Variety is reporting that pioneering filmmaker Allen Willis has died. 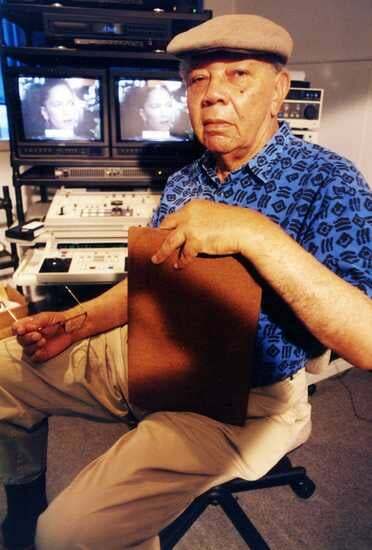 Willis, who made films about the Black Panthers and Dr. Martin Luther King Jr. became the first African American in California broadcast journalism when he took a job at San Francisco's KQED television in 1963. Before that, he studied under photographer Ansel Adams. On his first pics, he collaborated with Melvin Van Peebles, who is considered to be the father of blaxploitation films. And in 1955, with San Francisco poet Lawrence Ferlinghetti, he produced, directed, filmed and edited the 16mm film Have You Sold Your Dozen Roses? In his 25 years at KQED, Willis made films chronicling major events and cultural movements, including The Other America, about Martin Luther King Jr.'s 1967 "white backlash" speech at Stanford University; 1970 documentary Stagger Lee, an interview with incarcerated Black Panther leader Bobby Seale; and a film exploring the psychedelic-drug experience. He also wrote for a Marxist-humanist publication until 2008. Willis was a member of the board of directors for the East Bay Media Center, which is the official archivist for his works. Born in 1916, Willis passed away on Feb. 23, 2011. A memorial celebrating his life will be held at the Niebel-Proctor Library in Oakland on Saturday, April 2, 2011. He was 96. Read more at Variety. Learn more about his films at East Bay Media Center. Previous recommendation: Donald Glover's Childish Gambino.